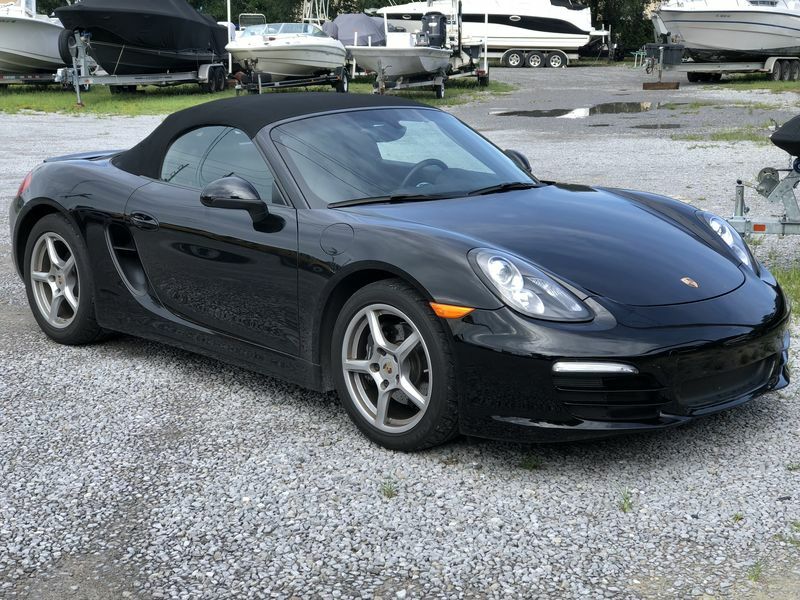 Selling my 13 Boxster with a 6 speed. Black on black, base. Has tint and HID, otherwise base. Newer tires. Runs and drives great. Clean title, and free shipping in the lower 48 will be included if so desired. Not sure if this forum is the right place for this new of a Boxster, but figured I would give it a try! If interested shoot me a PM here. I can take more pics after this weekend when I have a chance to wash and vacuum etc. Mileage is 52K and climbing slowly as I still use it some. I am asking $28K, but am open minded to realistic offers.